Outdoor storage is sometimes an overlooked, yet crucial, feature in any outdoor area. This portable shelter from Shelter Logic has a great look and provides plenty of space to store your outdoor items. 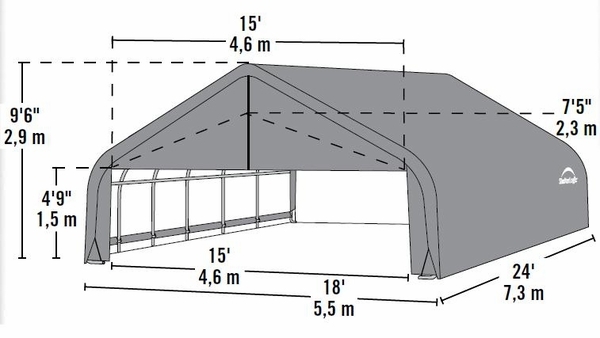 The shelter's frame is made of 2 3/8" steel, and features a unique stabilization system that keeps the entire assembly secure. The frame is powder coated with a DuPont thermoset finish that is resistant to corrosion. 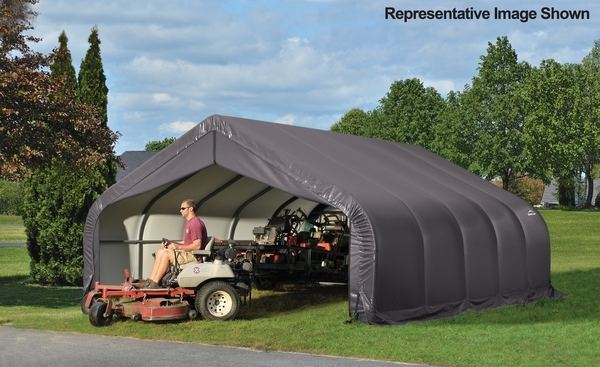 The UV treated cover is made of commercial grade woven polyethylene.